Board index General General Discussions Prestige Crystal Cheaters? 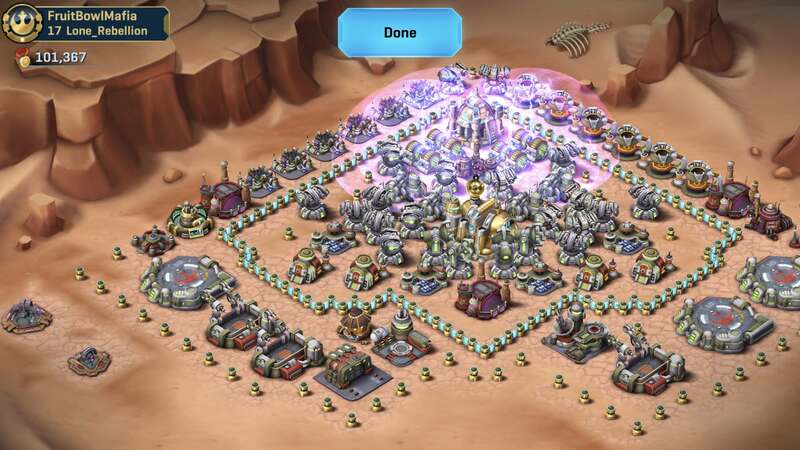 dbgman wrote: I have been seeing some prestige bases that have many buildings upgraded already. How can they afford the crystals or are they cheating? dbgman - As some have already pointed out, some Players are spending real Money to upgrade to Prestige Level. But also, keep in mind that some former Windows Players still have some Crystals left over from when Windows SWC was terminated and as such have now began to use a large portion of those Crystals on Prestige Level Upgrades. While you can't totally discount some "cheaters" out there whom may use some kind of Hack to get Crystals, I don't believe it is true for the Screenshot "case" you presented. Thanks. I am surprised on the quanitity of prestige bases out there i am seeing out there already. And there are many active and maxed out players that are ex-Windows players like me, that received a generous amount of crystals from Disney to start a new base on iOS/Android 1 year and half ago. Many still have thousand of crystals to spend in the game, and what the best use for these crystals now if you are maxed out? And thank all wallet warriors for putting their money in this game so we poor mortals can play for free. Best that you could do instead of accusing someone of cheating is attack that base and lose. By giving out your medals, you are encouraging them to continue investing money in the game. Yes, I have people in my squad who still have 50-100k crystals remaining from the Windows change over. For them this was the perfect opportunity to use those crystals with instantaneous HQ upgrades and a few of the other relevant buildings. A couple have also done triple droideka upgrades with the bonus CB currently on offer. dbgman wrote: I guess i was wrong about possible cheating. I could not fathom anyone spending $1000+ on a game. I will admit i spend $20 here. That is an insane amount to spend just to speed up something you will get anyways. Disclaimer...i REALLY SUPPORT people that pay for the game...it is a way for many more paly it for free...honestly THANK YOU! As to its value...is relative...but i know cases of players that spent 50% of their income in mobile games...and this is pure madness...guess it counts as VICE. If 400USD is 5% or 1%...or whatever reasonable..then each can get his fun wherever he wants...hope it was worth it. Boog wrote: Be glad people are spending money. Clearly, the prestige level is a huge success one week in. It would not have looked good to the new proprietors if it had flopped. I'm sure that a lot of long time, medal-called players are excited to break the 500-way tie at the top of the medals leaderboard and sit on top by themselves for a while. The only realistic way to do that is xtal up a bunch of buildings (at probably ~$150 a pop). I'm very thankful to the crystal players. They basically bankroll the players who don't pay. I've only personally bought crystals once for my 5th droid, about $20.... not enough to keep the lights on, for sure. From day one, those with disposable income and the desire to be first with the new unit/level have spent lavishly on the game. I would simply thank them for their support for without that, those of us whom patiently wait for upgrades to complete would probably have nothing to wait for. Don't think it's cheating. Sad. But not cheating. I had about 100k crystals when Prestige went live. I have about 68k now after doing a bunch of deka upgrades and instant HQ upgrade. Walls are way cheaper now, so upgraded all those to prestige. I received about 350k crystals for the Windows to Facebook conversion. Good thing I didn't blow through crystals like a lot of people did. I calculated just to crystal finish the hq is about $120 dollars US. So to do many buildings must be over $1000 US? I spent 400$. And know many who spent over 1,000$. No one is cheating, we just have more disposable income. Nevermind wrote: Don't think it's cheating. Sad. But not cheating. I feel sympathy for anyone who feels 400$ is a lot of money. If you fall into this category, you need a raise or a new job a.s.a.p. I started my own business doing what I love, & now I spend the profits on whatever I feel like. Also, not sure whats "sad" about having money to burn? Maybe the word "Jealous" should be in its place. Or possibly "I'm sad because I cant burn the $ down like you." Last edited by DeathStriker on Tue Oct 02, 2018 3:00 pm, edited 2 times in total.